It's the season for end of year awards, and now it's time to reveal the Nintendo Life winners for the best games on Nintendo hardware in 2016. Thousands of votes have been cast in the Reader Awards, while our staff have also pitched in with their choices. The results are interesting, with the community results naturally reflecting a broad base of gamers, while the staff votes are dependant on the purchases and play habits of a far smaller group. Either way, in a year that some would argue was quiet on Nintendo hardware, there have nevertheless been some excellent games to play. You don't need any more pre-amble - you want to know who's won! To the results, then, starting with the community-voted Reader Awards. This remastered adventure accumulated over 1000 votes to seize the crown, with other relatively niche or controversial retail releases struggling to sustain momentum. It was an excellent title on Wii U, it should be said, with solid performance and a pleasing HD sheen to the atmospheric and ambitious GameCube / Wii title. With some amiibo and GamePad features also thrown in, it was a welcome arrival on the scene for Wii U. This took a while to work its way to its 'home' on the Wii U, but was worth the wait. An exploration adventure with some handy usage of the GamePad, it's oozing with creativity and quality, drawing inspiration from a number of classics while going its own way with clever mechanics and ideas. An inevitable winner, with a new generation kicking off for the iconic franchise. There was a lengthy list of new features and ideas in this one, from Z-Moves to new approaches to multiplayer, and of course through to all-new Pokémon to collect. This helped to give the IP's anniversary year - and the 3DS - a perfect end to 2016. You just can't keep this franchise down, as it seems to scoop up the 3DS eShop award whenever a new release rolls around. It's no surprise, really, as the franchise maintains its high standards and adds some new ideas, in this case with mystical elements and 'séance' mechanics. It's a series that's long-since become download-only in the West (it still arrives at retail in Japan) but the NL community's affection for it remains strong. A close fought category, actually, but a deserved win for the latest double release from The Pokémon Company. 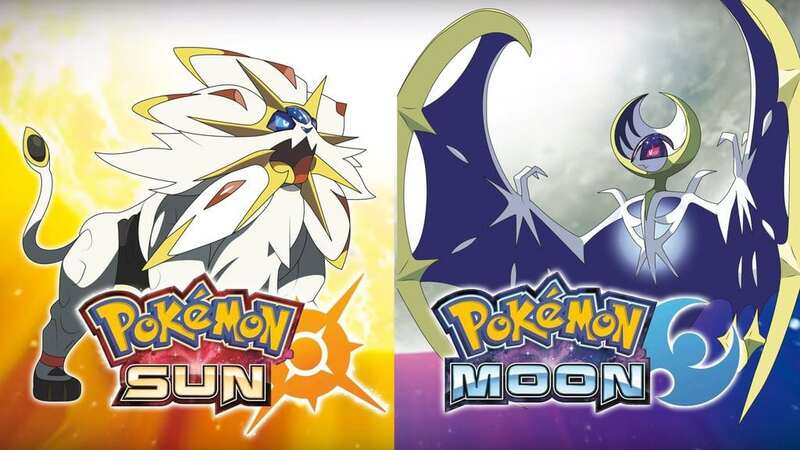 Sun and Moon delivered sales records for Nintendo in various categories, successfully giving the series another hit for a new generation. If rumours are to be believed there could be a third entry on the upcoming Switch; based on the positive reaction to Sun and Moon, that would be a smart move. Turn over to page 2 if you want to see the staff results. Thanks to everyone that voted! Nice, an HD remake of a 10 year old game is Wii U game of the year! Just goes to show how pathetic Wii U releases were this year. @Spoony_Tech Tokyo Mirage Sessions probably deserved it more though. Sun and Moon definitely deserved GOTY. I just started playing Sun and wow, all the little things it did to improve basic things in Pokémon go a long way. The intro to the game is also really cool and it isn't bogged down with tutorials. It's interesting that the staff and fan picks were so similar. While it is a remake of a 10 year old game it is one of the best remakes I've played. The graphics and music are fully remastered and they added in some extra things too. I'm glad Pocket Card Jockey at least made the 3DS eshop top 5, but come on people. That was game of the year for unique and newness alone. We've all played Pokemon enough times. And as @Spoony_Tech stated, super sad a remake won WiiU award. 2017 will hopefully be a stronger year for Nintendo platforms. Color Splash is a much more worthy GOTY than TP, I can't believe both staff and readers voted more for TP. Hooray for Pocket Card Jockey! I have logged more hours into that game than any other this year. Well over 100! @plug313 I'm with you on Tokyo Mirage Sessions #FE. I've been having an absolute blast with that game! It has been the highlight of my year and one of the most fun JRPGs I've played in a long while. Didn't realise what a shockingly bad year for Wii U games it had actually been. @Nintendo_Ninja Don't want to give you a hard time over semantics, but a remaster and a remake are not the same thing. If you judge TPHD as a remake, then it's definitely in the lowest tier possible when you compare it to stuff like REmake or Zero Mission. @Nintendo_Ninja. Are you sure you're not talking about another game? Sun and Moon forces you to follow the NPC's and their set path for the beginning of the game... It's by far the longest beginning section of any Pokémon game. And yeah, like @MarcelRguez said, Twilight Princess HD is a remaster, not a remake. An example of a remake is A Link Between Worlds. I personally hoped Pokken ranked higher, but I'm just happy it ranked at all! The yearly tradition of getting it wrong continues. Here's to 2017. A pretty "meh" year in general. My GOTY was definitely Pokémon. I know it's an opinion and all, but man...the staff pick for Star Fox Zero above Tokyo Mirage Sessions? Really? Pokemon Sun and Moon were pretty 'meh' for me. I much prefer the Gym Leader challenge. The Pokemon League rematches not even having level 70 Pokemon or super trainers with level 70 or 80 teams is sad. The post game was terrible with hardly nothing else to explore. The Battle Tree is boring. Overall, I wasn't that impressed with the storyline either. With the Wii U's horrible lineup this year, we better get some killer titles on the Switch right out of the gate. I'll never get all the hate for Star Fox Zero. At least it made it in the top 5 in the list. That being said it isn't like there was much to compete with this year. Sun and Moon are absolutely amazing games, I definitely agree with it being the Game of the Year. Im also glad Pocket Card Jockey got some love. I haven't got to play much of SteamWorld Heist yet, and I only ordered Paper Mario Color Splash on Christmas Day from Amazon, really looking forward to it though! Yeah, I ain't going to believe that Twilight Princess HD won Wii U Retail GOTY and the game being a remake is 100% not one of the reasons why I don't think so. The game wasn't bad, but it's just not one of the good Zelda titles I played. I'll give Axiom Verge a pass since that game was good, though I happen to enjoy Super Meat Boy and Twisted Fusion as well. The 3DS Retail is...wow. Kirby: Planet Robobot and Fire Emblem Fates can get on there, but not the just-as-amazing Mario & Luigi: Paper Jam? I tried out Dragon Quest VII and couldn't really get into it and I don't know if I want to buy Bravely Second and Pokemon Sun. 3DS eShop only had Fairune II and Parascientific Escape for me. Personally I preferred Fire Emblem Fates, but I kind of figured Pokemon would sweep the competition this year. @SH007ME Quick! Let's call for a compulsory recount, just to make sure the ballot box wasn't stuffed, or any bubbles not filled in correctly or check marked, or votes switched around due to tampering or a glitch! Glad to see Shantae and Gunvolt make the list! Pokémon sun moon is a good choice. I'm still playing it to fill my pokedex, this may be the first time I ever complete it. @Spoony_Tech Personally, I voted for TMS#FE. I <3 that game. Predictable in most cases for me, but it's still neat to see the results. It wouldn't surprise me if some people are crying for a recount though (haven't read the comments yet). @StephenYap3 I really liked both Bravely games, but the reused environments from Bravely Default were way overused in Second and it did annoy me. It was still a good game and I do enjoy that world though. Sun/Moon is fantastic and you won't be disappointed. It's called Nintendolife, so it's reasonable that the Best Of deck would be stacked with first-party titles, even if they're not that good....but amiibo Challenge? On BOTH lists? Really? I'm really surprised that Paper Mario: Color Splash ranked highly. @PlywoodStick ...lol, yea ..I'm sure some hacking was involved..
Star Fox Zero was the Wii U GOTY for me. 3DS had Sun & Moon. Between both, I'd definitely pick Pokémon. It was a refreshing game and one of the "comfiest" RPGs I played so far. Fire emblem way better than pokemon... Did pokemon really win goty? ugh. TP HD? Lmao. To be fair both Paper Mario and #FE are pretty good games and should have won, but that tells you how many high profile releases we had this year on the dead Wii U. How sad, but appropriate, that a Gamecube remaster is Wii U's GOTY. My WiiU isn't even plugged in atm, my Wii is. Most of 2016's lineup is garbage anyway except Sun/Moon and Planet Robobot. @undomiel I loved Mirage Sessions also, but I don't think it was enough of a hit to be GOTY. @Clownshoes Unnecessary comment., if you have nothing nice to say, then don't post. I am a fan of Pokémon for several years and this is the first time that I dont know what to do after the league. A game where you have no real challenge, where it just tells you everything you have to do. Goty???? @SH007ME Let me guess... IT WAZ ZEE RUSHENS! The post game content isn't available publicly (yet, I hope) though, because it got shut down before release. Keep in mind that when GOTY choices are decided through a vote, instead of a long and contemplative discussion, "GOTY" becomes just a code term for "most popular." @Bolt_Strike The 2016 lineup on the 3DS, garbage? Seriously? Maybe if you REALLY don't like RPG's, text adventures, or other slightly more cerebral fare... And Koolboyman kind of beat Nintendo at their own game, Sun/Moon isn't that good. I choose Paper Mario Color Splash for Game of the Year 2016. Pokemon Sun/Moon are quite interesting for me despite X/Y offers better Cell Shading style and 3D looking during Battle. Instead of complaining that your favorite wasn't picked, how about telling us what game was your favorite and a paragraph explaining why? I'm behind the curve in getting games and always looking for new ones. What game should I get next? The 3DS truly had an excellent year. Pokemon was fresh and new, Fire Emblem Fates was a fantastic continuation of the series revival since Awakening, Kirby was a lot of fun and the Bravely series also got a new game. I've truly enjoyed my 3DS this year and it's quickly becoming my favourite handheld of all time (that is saying a lot because I'm 33 and I remember the fun I had with the original Game Boy. 2016 was a major disappointment for the Wii U and the final nail in the coffin. Luckily I didn't own a GC or Wii so TP was actually a new game to me and really well done. Other than that, I haven't bought many new Wii U games this year. Instead, I went back to buy some older games that I missed out on. I will always be fond of my Wii U but I'm ready to move on from it as my main Nintendo console. It just doesn't deliver. Oof, those staff results. Star Fox Zero above TMS and Federation actually appearing in the top 5 3DS games, when DQVII and SMt4:A came out in the same year. Heck even the gimped Super Mario maker appearing there is lol. There's plenty of stuff to do in the after-game of SM. And, at least personally, I was fine with SM's more structured storyline because it's Pokémon. I'm still getting the same fun gameplay and how can I argue against a better story? I love Pokémon, and this game is Pokémon, so I love it because I love the essence of what Pokémon is, going on a little adventure, catching monsters, and strategically choose what moves to use at tge right time. I wish I could just tag this to everybody. 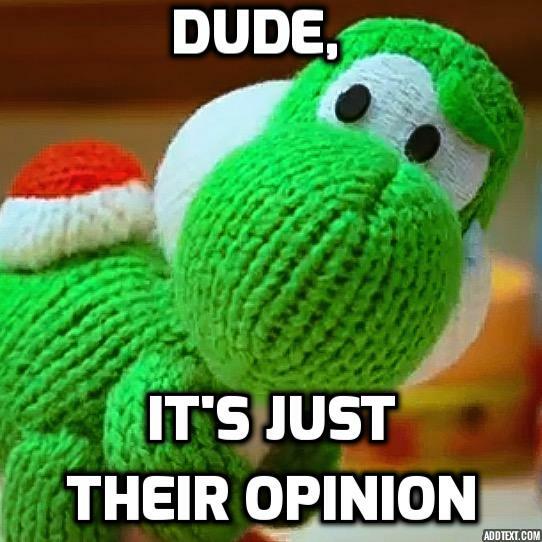 @Mega_Yarn_Poochy Yeah, it seems like a lot of users on this site have a hard time to understand that not everyone shares their likes and dislikes. @MajinSoul Yep, a lot of people here are quite pessimistically hard-headed. @Spoony_Tech oh yes? Many, many PS4/XB1 'remasters' will also be in the running come their end of year votes. Besides, as others have also seconded, Tokyo Sessions was a far more deserving 1st place. @roboshort that's like saying the latest Transformers instalment should be movie of the year based on box office. Tokyo Sessions will stand the test of time. I think Shantae is better than Axiom Verge, but that's just my opinion. Starfox really shows what a desparate year it was! Great picks everyone! Personally, SFZero and Monster Hunter Generations are my favorite WiiU and 3DS games of 2016. First year in a long time where I've had nothing Nintendo for Christmas. Couldn't get a NES Classic, nothing on Wii U, just bloody Pokemon on 3DS. I actually considered getting an XBox to play the new Pro Evo or anything other than a clever platform/adventure/metroidvania game. Can't wait for Switch but it's been a TERRIBLE year for Nintendo. @Great_Gonzalez it's just the trials I don't like. Bring back gyms. The map is strange too. It seems forgetable and not distinctive. I would have left Game of the Year for WiiU vacant in 2016. We're picking the best of what was released just to do it. But nothing is worth Game of the Year title. Ugh, the 3DS list = 5 games I really should be playing right now, but I'm tired as $#!+ and waiting for my apartment to cool down...next time, I'm looking for a place that charges for heat. I cannot tolerate a room that is 80 degrees, and the only way I can fix it is to turn off the radiators, until it gets too cold. Just imagine finally having a modern Pokemon game playable on your TV via the Nintendo Switch. @JacquesLecornu Oh it is...the best thing to do is laugh at the whining. There's lots of it. But it's nowhere near as bad as some sites thankfully! @MajinSoul True, there's a lot of "this game is garbage! ", and we should all take that as the definitive opinion on the matter, regardless of whether other people enjoyed the game. @Joeynator3000 "if you have nothing nice to say, then don't post." I think you've effectively ended his career in here then. Good to see TPHD get some love though, obviously I wasn't alone in enjoying it despite it showing its age a touch. Goes to show good games can be timeless. Choosing a remake over something new?! Great job people! Gives the right impression to Nintendo, so they can make tons of remakes instead of new titles. Personally I might have bought Tp HD when it would hit the Nintendo selects range, but that probably won't happen anymore. @Mega_Yarn_Poochy True, but this opinion says something about the writers and community, I mean, seriously, as good as TP HD may be, how can you possibly believe a remake that doesn't really add that much (in fact removes features) is more worthy than a new Paper Mario sequel which is almost as good as Thousand year door (and that's a hard game to surpass) and one of the best looking Wii U games, arguably as good looking as some of the best from other more powerful consoles. Everyone is entitled to their opinion, but opinions like these make me wonder if I should trust the judgement of the people behind them, like when reading reviews for purchasing decisions. Don't get me started on how someone can possibly consider Axiom Verge a GOTY too, which I bought based on high reviews and regretted it afterwards. Well the Pokemon fanboys came obviously came out to vote this year lol. TMS#fe Wii U game of the year, and FE: Fates 3ds game of the year for me. Great to see that 20 years on Pokemon is just as popular as ever. @Pazuzu666 I personally think you have to balance impact, novelty, and quality for GOTY. If they were calling it "best game of the year" rather than just "game of the year", I might agree with you. It was unique enough and good enough, though, that I also think it will stand the test of time. an HD remake of a 10 year old game is Wii U game of the year! Just goes to show how pathetic Wii U releases were this year. So is it really all that surprising? I'm pretty sure Windwaker HD won GotY too (or runner up) when it was released in 2013 with games up the wazoo. Speaks more about Nintendo fans and their love for Zelda than it does anything else. And, tbh, Zelda games are usually better than just about everything else anyways. If only Nintendolife were a little bit patient. Shantae: Half-Genie Hero would have easily been the #2 spot for the Wii U eShop Game of the Year. I have to say I am surprised by Twilight Princess HD winning GOTY. While I played my wii u much less compared to my PS4, the wii u had some great releases. I think Pokken deserved the spot over the remake. While TP is certainly improved, it really isn't head and shoulders above the original. I played it for a bit but it did not hold me as I have already played the original wii version. Pokken felt very fresh and definitely kept me away from the ps4 for a good while. Similarly, while I am not too far in bc I only got the game for christmas, Color Splash is really good too. As for SF Zero, well, it just made me excited to replay SF 64 3D. A weak year for wii u, but I am looking forward to the future. As for 3DS, pretty good year! While I did not pick up too many titles I really enjoyed Super Mario Maker (The single player is much improved from the wii u release in my opinion) and Pokemon Sun was fantastic too. The hyperbole about it being the BEST generation is a bit ridiculous in my opinion however. Kirby Planet Robobot was OK, but did not feel as original and fun as Triple deluxe, but still enjoyable. I really want to get around to FE Fates, but that one just slipped past me. This year just felt a little dull in terms of Nintendo releases but the Switch looks very promising.